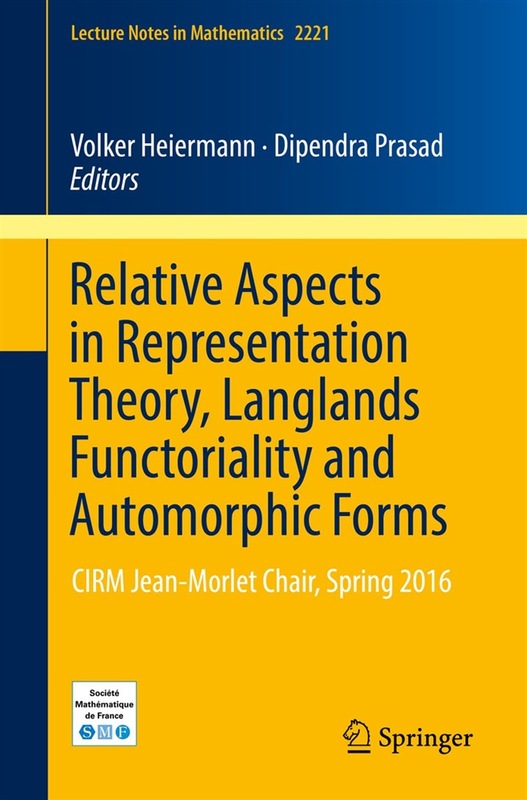 This volume presents a panorama of the diverse activities organized by V. Heiermann and D. Prasad in Marseille at the CIRM for the Chaire Morlet event during the first semester of 2016. It assembles together expository articles on topics which previously could only be found in research papers. Starting with a very detailed article by P. Baumann and S. Riche on the geometric Satake correspondence, the book continues with three introductory articles on distinguished representations due to P. Broussous, F. Murnaghan, and O. Offen; an expository article of I. Badulescu on the Jacquet–Langlands correspondence; a paper of J. Arthur on functoriality and the trace formula in the context of "Beyond Endoscopy", taken from the Simons Proceedings; an article of W-W. Li attempting to generalize Godement–Jacquet theory; and a research paper of C. Moeglin and D. Renard, applying the trace formula to the local Langlands classification for classical groups. The book should be of interest to students as well as professional researchers working in the broad area of number theory and representation theory. Acquista Relative Aspects in Representation Theory, Langlands Functoriality and Automorphic Forms in Epub: dopo aver letto l’ebook Relative Aspects in Representation Theory, Langlands Functoriality and Automorphic Forms di ti invitiamo a lasciarci una Recensione qui sotto: sarà utile agli utenti che non abbiano ancora letto questo libro e che vogliano avere delle opinioni altrui. L’opinione su di un libro è molto soggettiva e per questo leggere eventuali recensioni negative non ci dovrà frenare dall’acquisto, anzi dovrà spingerci ad acquistare il libro in fretta per poter dire la nostra ed eventualmente smentire quanto commentato da altri, contribuendo ad arricchire più possibile i commenti e dare sempre più spunti di confronto al pubblico online.